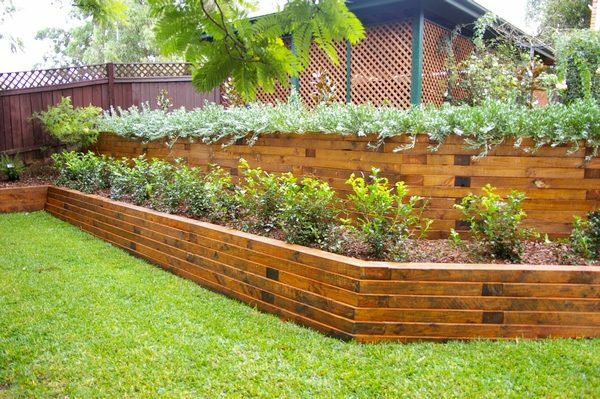 Wood retaining wall ideas are always impressive with the great visual appeal and the sense of harmony in the landscape project. 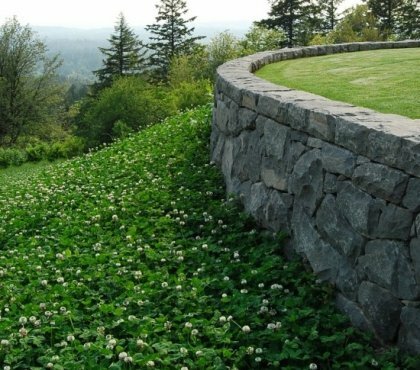 Such walls are an affordable and relatively simple way to reinforce slopes. 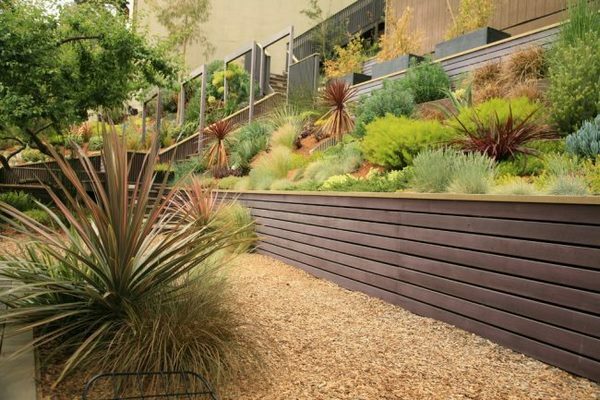 In general, retaining walls are one of the most practical and beautiful elements of landscape design. 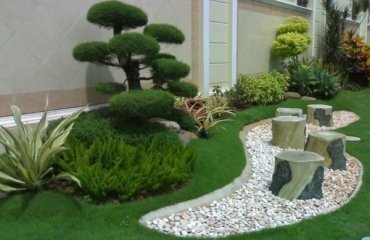 As a decorative element, they are often even on flat areas and are highly valued not only by homeowners but from landscape designers as well. 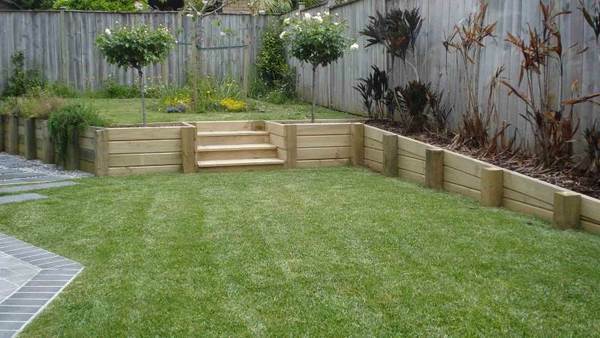 How to choose a place for a wooden retaining wall? 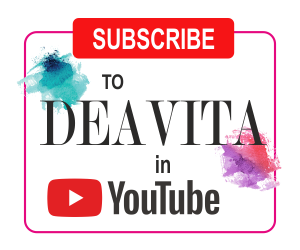 What are the advantages and disadvantages of the material? 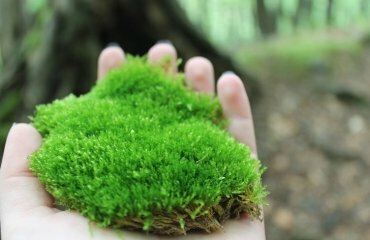 How to protect it from the negative effects of weather and elements? 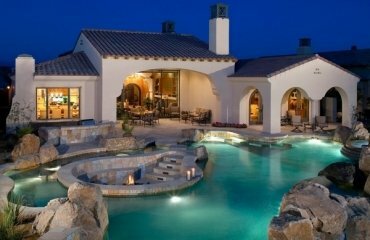 There are many questions that homeowners need to consider and we shall give you the answers. 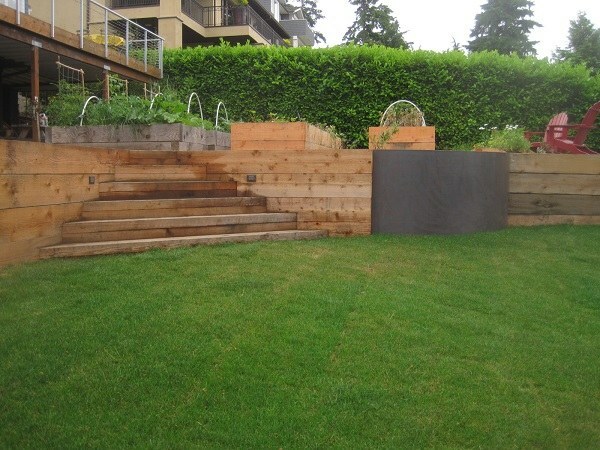 In the photo gallery you will be able to see beautiful examples of retaining walls made of wood and how they are incorporated in the exterior design. 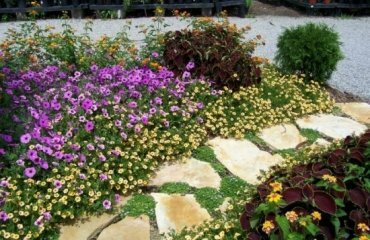 The retaining wall in landscape design is an absolutely indispensable element that can not only decorate the site, but also divide it into zones. It can be a barrier and at the same time a rather original decoration of the exterior. 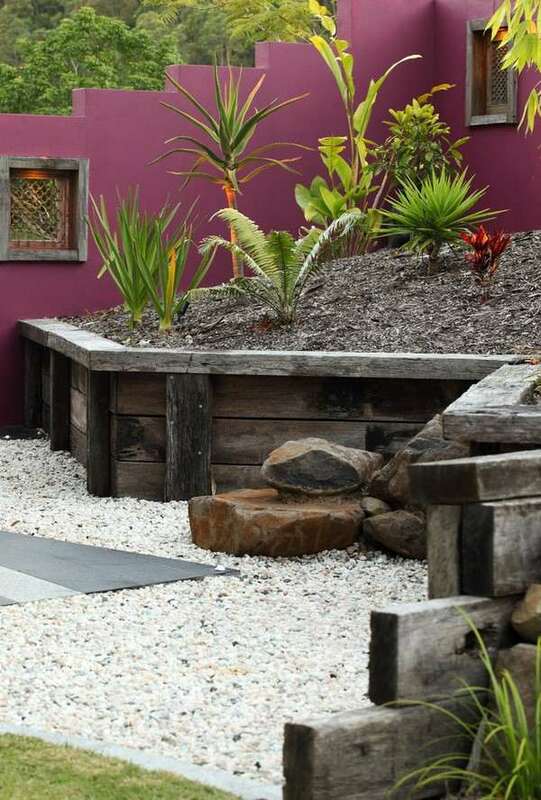 You can build a wall from almost any material – concrete, gabions, bricks, natural stones – which are suitable for the natural conditions of soil and atmospheric phenomena of the local area, but many homeowners choose wood for its beauty and practicality. The foundation is the most important part of the wall. The stability of the entire structure largely depends on foundation. Usually it is hidden under the ground, so it remains hidden from the eye. The body or the main part – brickwork, log, concrete or wood construction – this is the visible part of the retaining wall. Drainage – this element helps to protect the wall from the damaging effects of weather. 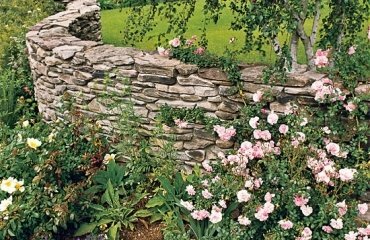 How to choose a place for a retaining wall? There are no limits – you can construct your wall anywhere you like. Any place is suitable except for those where moisture levels are really high. Wood is very quickly destroyed in a humid environment. For wetlands, areas with heavy snowfalls, rainfalls, spring floods of rivers and streams, under ground waters – it is better to choose an alternative and more durable material like stone or concrete. 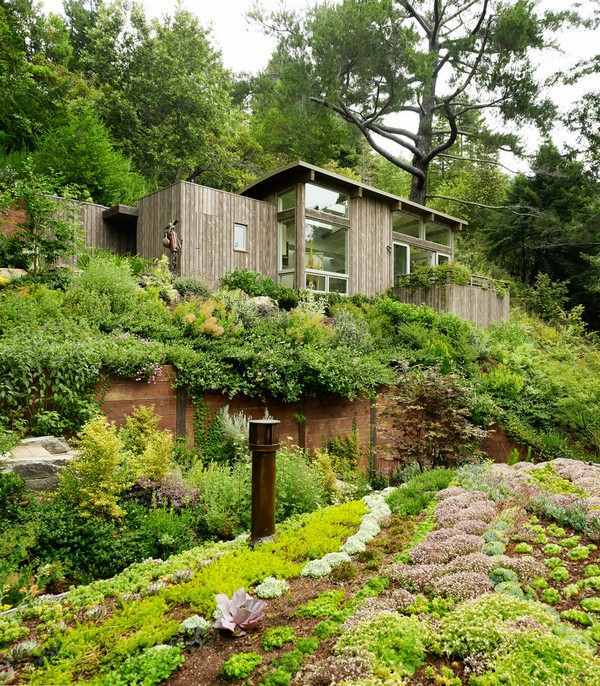 In addition, a wall made of wood is not the best choice for steep slopes where the wall will bear a great load. 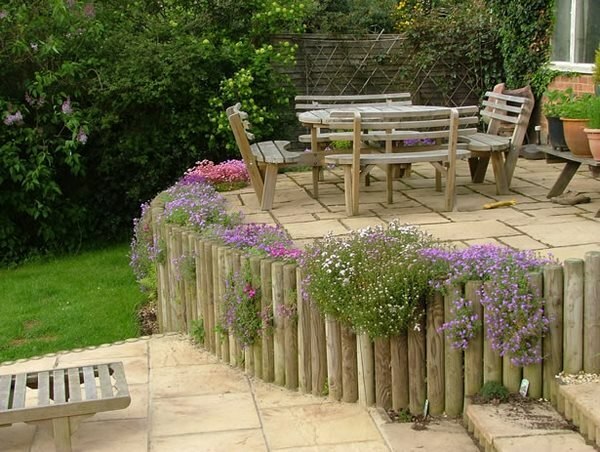 Combined – logs are laid horizontally between vertical posts. The choice of the method of installation depends on several factors, the main ones being the length of the logs and whether the future wall will be curved or straight. If the logs or boards are long, horizontal laying is preferable. For complex shapes – semicircular or zigzag, for example, the vertical installation is a better choice. The boards need to be tightly fitted to each other to ensure that the decorative wall is monolithic. 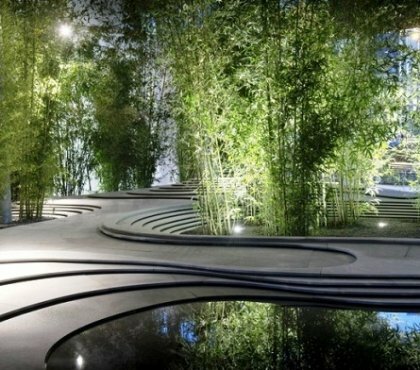 Whichever type of construction you choose, you have to realize that the drainage system is essential for the lifetime and appearance of your wall. A bad drainage will increase the moisture factor is crucial for wood. 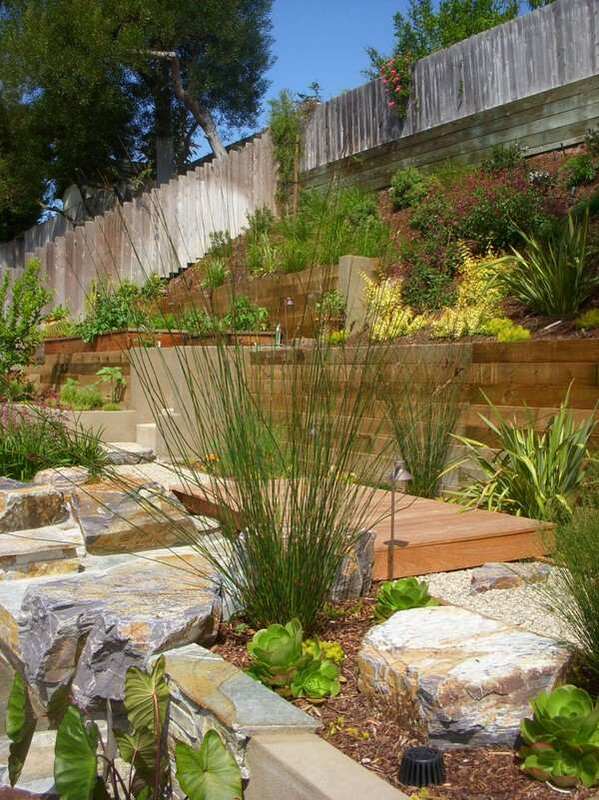 The main task retaining walls is to prevent soil displacement down the slope. Therefore, in addition to weather effects, the wall experiences serious loads from soil pressure. Wood, like any material, has its advantages and disadvantages which homeowners need to know when choosing the materials for their landscape. 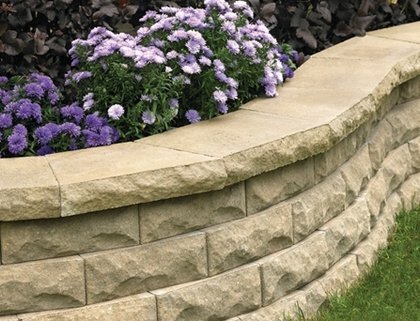 Lifetime – when properly treated, installed and maintained, your retaining wall can last for more than 20 years. Wood is a material that easily absorbs moisture. To prevent future deformation, it is necessary to make them water resistant. 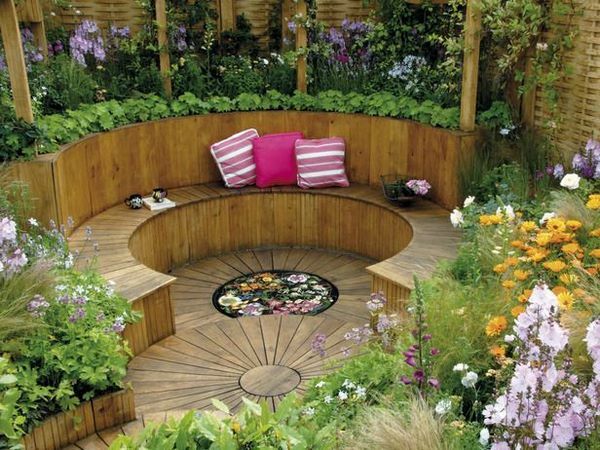 To do this, you can cover each log or board with a composition of hot bitumen. Another option is burning the logs. However, you will need to be extra careful not to ruin the appearance of the boards. Wood is susceptible to rotting, especially in hot and humid areas. 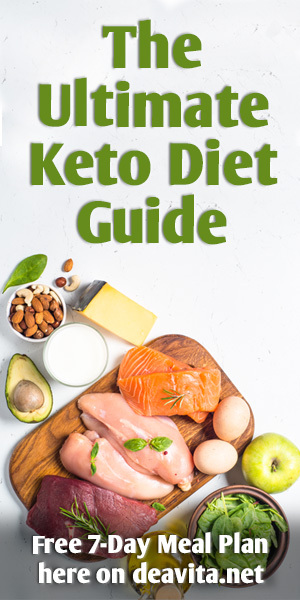 Yes, nowadays, the market offers pressure treated wood, which is more durable, but sooner or later you will need to renew or replace the wall. 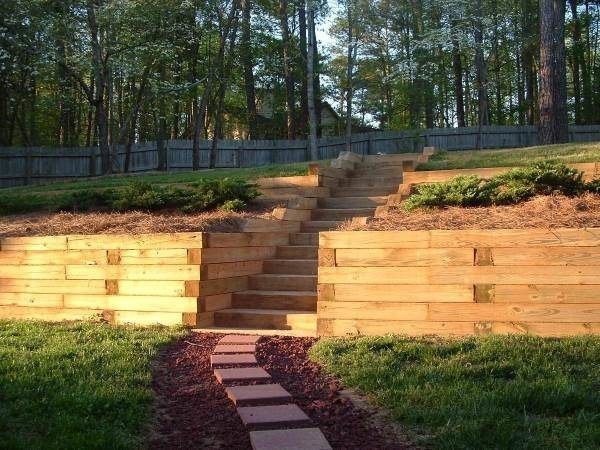 As we mentioned before, wood is not a good choice for retaining walls with more complex shapes, as it is not as strong and durable as alternative materials like metal or stone. Low quality wood will degrade quickly. Wood is susceptible to insect attacks. Termites, for example, are the second biggest enemy to wood, after moisture and the damages are, practically, irreparable. You will have to replace affected parts or the entire wall. 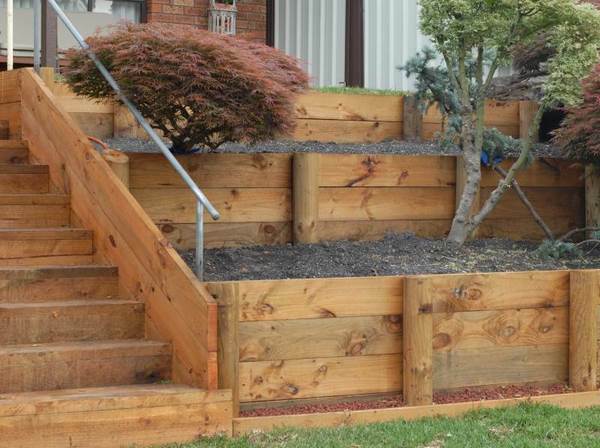 What type of wood is suitable for building a retaining wall and how to protect it from elements? 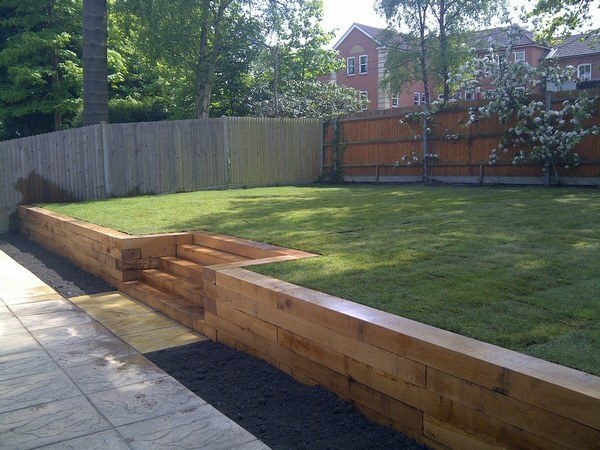 Wood retaining wall ideas often feature different species, reclaimed or salvaged wood like railway sleepers, sometimes when the wall is low and does not bear a lot of pressure, palette wood can be used. You need to determine the type of material at the planning stage. 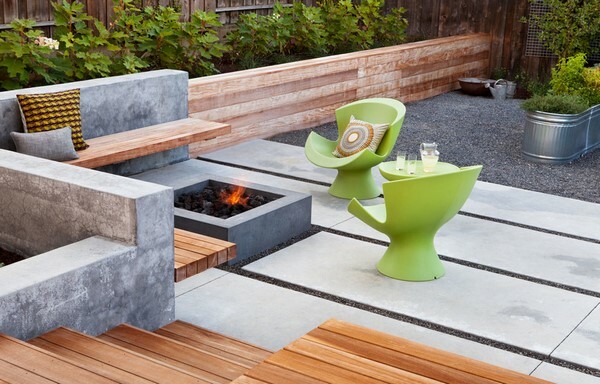 When you choose the type of wood, you need to keep in mind the overall landscape design and the style of your exterior. The budget is also an important factor and you can opt for high quality wood or more budget friendly options. Cheaper options often are not as durable and strong, which means that they will require more maintenance. 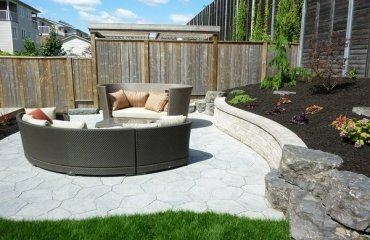 Although retaining walls are not difficult to build, the construction requires some knowledge and if you are not experienced in DIY projects, it is better to trust professional companies which are qualified and have a good reputation. 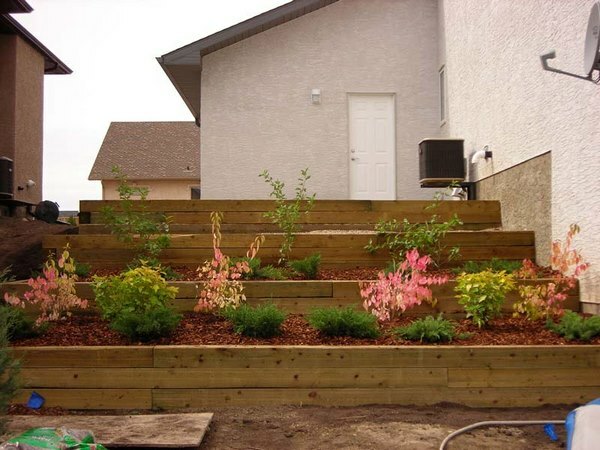 Thus, you will be certain that the final result will be a durable, sturdy and beautiful wooden retaining wall which will serve you for many years and will be a great decorative element in your front or backyard. The wood that you choose for the construction will affect the appearance and elegant look of your wall. Of course, the material should meet some important criteria. On the first place it should be chemical free. This means that the material is not treated with harmful chemicals like creosote, for example. Of course, it should be responsibly sourced, so ask the Seller for the origin of the material. 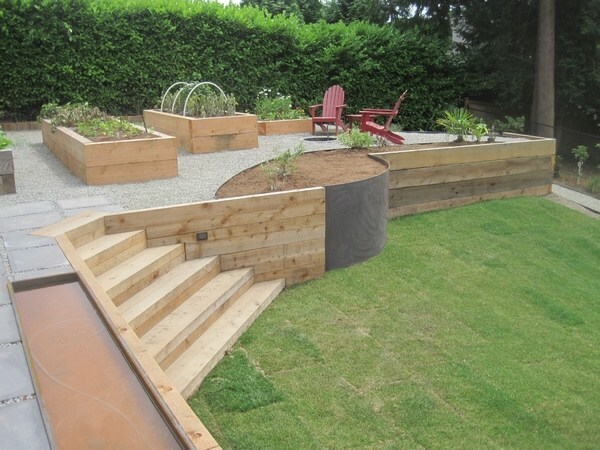 Standard timber is, usually, not treated with sealants and is not weather resistant which means that you can use it for temporary constructions or small retaining walls which should be treated regularly every year. 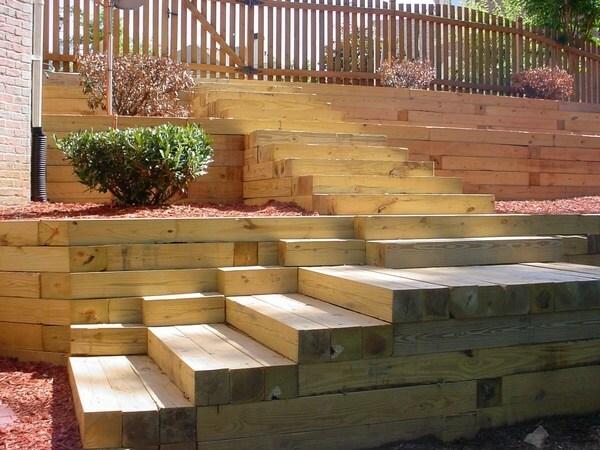 Treated timber is a better option as wood is protected from the elements. Pre-treatment adds to the durability and resistance of wood which prolongs the lifespan of your garden wall. Water drainage – we already said how important good drainage system is for the quality and appearance of any wood retaining wall. Some species like cedar, ipe or teak, have natural resistance to water, but even so, remember that water is not a friend of wood. Sealing – weather protecting sealants should be applied at least once a year or more, if needed. Treating the wall with a sealant right after construction is a must, so do not neglect it and leave it “for later”. Insect protection – wood is easily damaged by insects. Ants, termites, even some species of flying insects are attracted to wood. Treat your wall with special solvents which will keep them away.